Kalymnos is a greek multi-faceted, traditional island in Aegean, in Dodecanese. 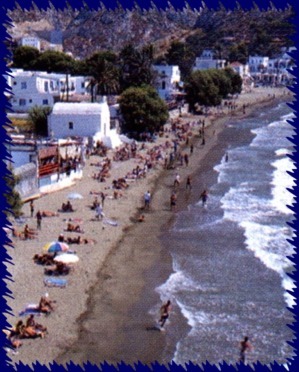 Two mountain ranges with high mountains and between them two valleys, Pothia, the capital of the island and Vathi. All around the island are clean, quiet seashores. The 16000 residents are active, lively and hospitable. Most of them are sponge-divers, fishermen but there are also brilliant scientists known all over the world. 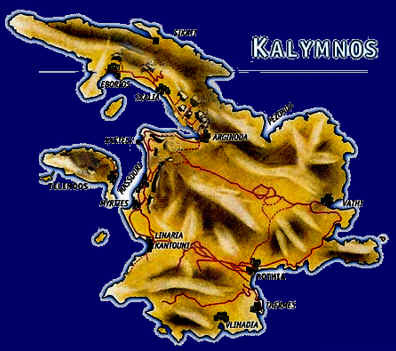 Kalymnos maintains the traditional colour of an island, without neglecting development. The harbour is modern and busy. There are numerous shops, restaurants and bars, as well as banks, Administration Services and a modern, well-organised hospital. It combines summer holidays by the sea with climbing possibilities in the mountains.